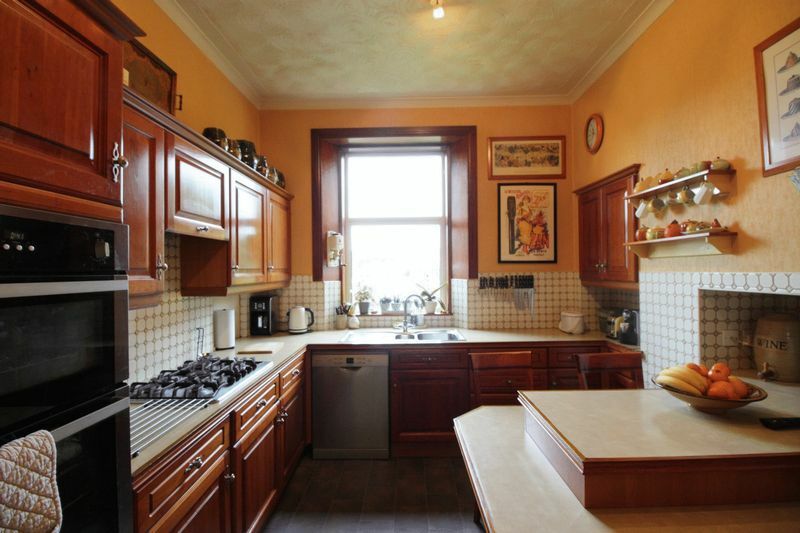 BREAKFASTING KITCHEN SCULLERY DOWNSTAIRS W.C.
Semi-detached Victorian villa retaining many original features set within sought after area in the popular town of Alloa. 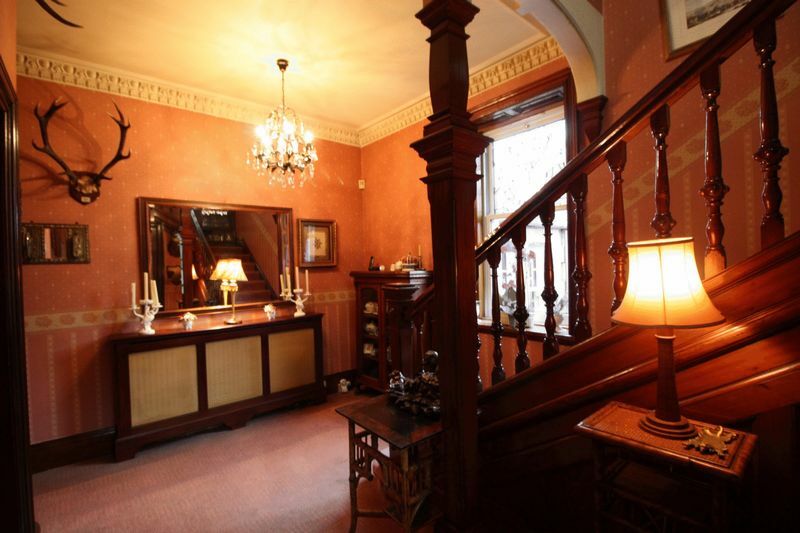 The property comprises: Entrance vestibule, spacious reception hallway, lounge, dining room, breakfasting kitchen, scullery, w.c. and sun room and in the basement a study and laundry/utility room. 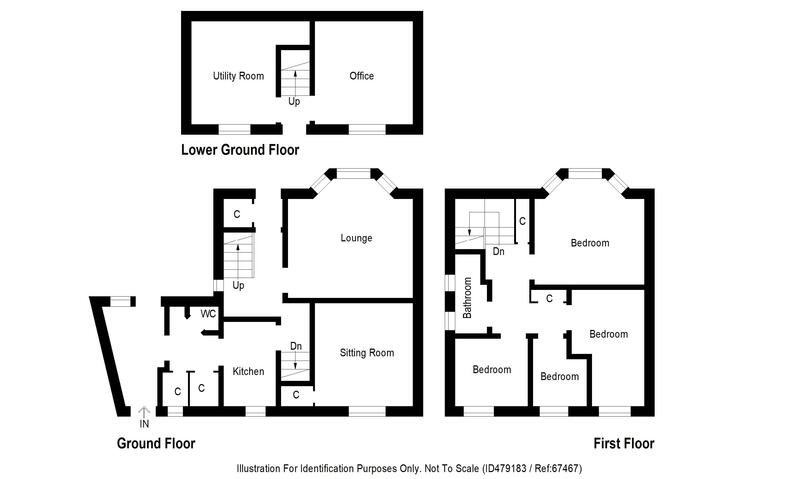 On the upper level is three double bedrooms, single bedroom and family bathroom. 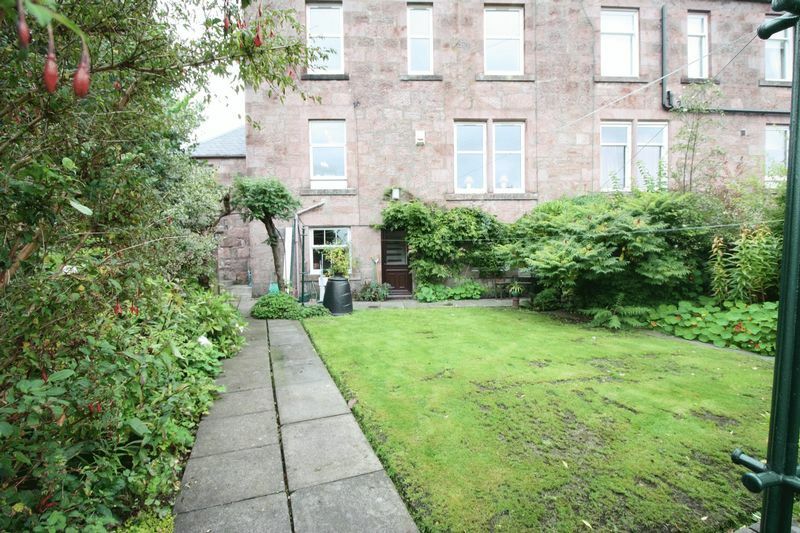 The property is heated by a gas central heating system and is fully double glazed throughout.. Further benefiting the property is a private front and large established gardens to the rear of the property with excellent views. A slabbed and chipped driveway provides off street parking and access to the single garage. Entrance vestibule with cloaks cupboard. 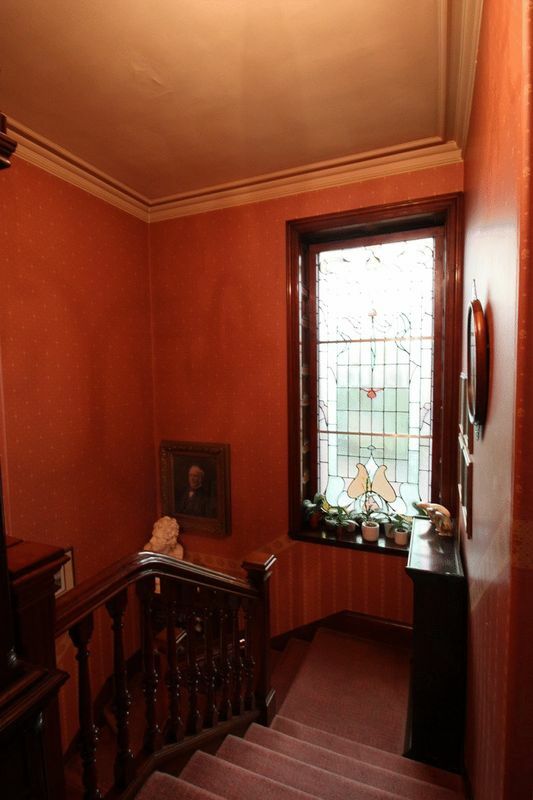 Access to the entrance hallway via a solid wooden door with stain glass panel. 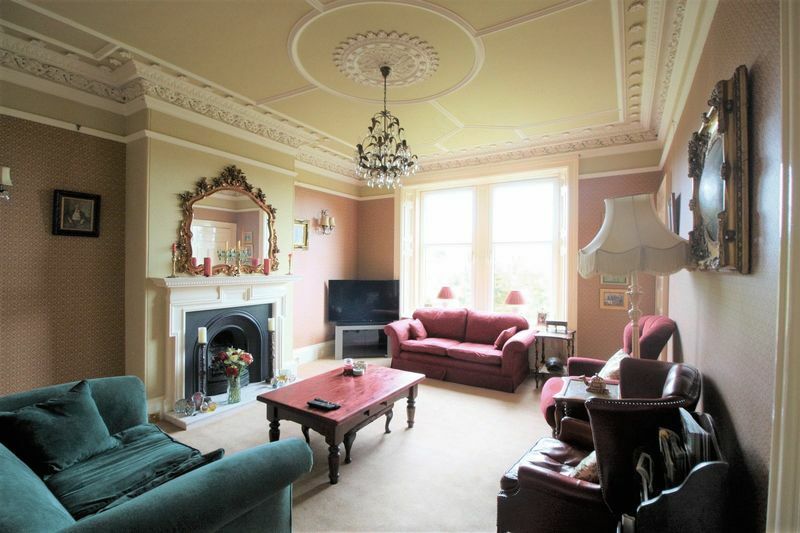 Spacious hallway with carpeted flooring, feature light fitment, original cornicing and large double radiator. 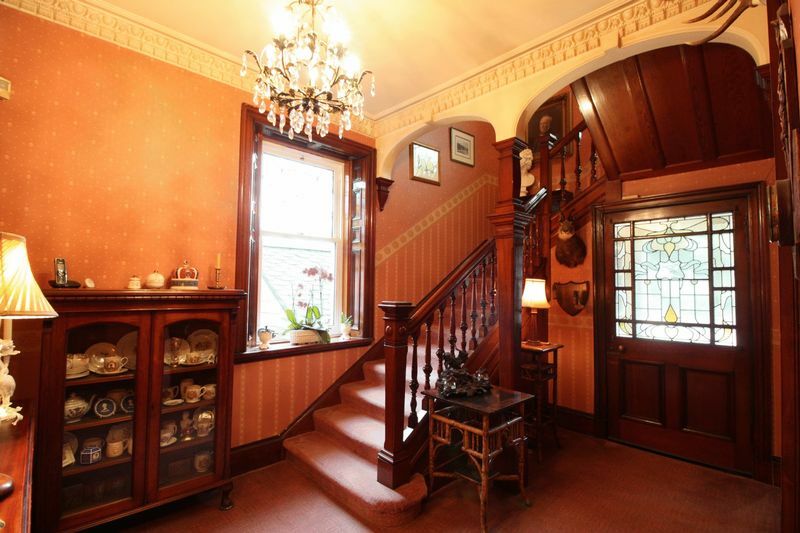 Access to lounge, dining room, kitchen, stairs to basement and feature stairwell to upper level. 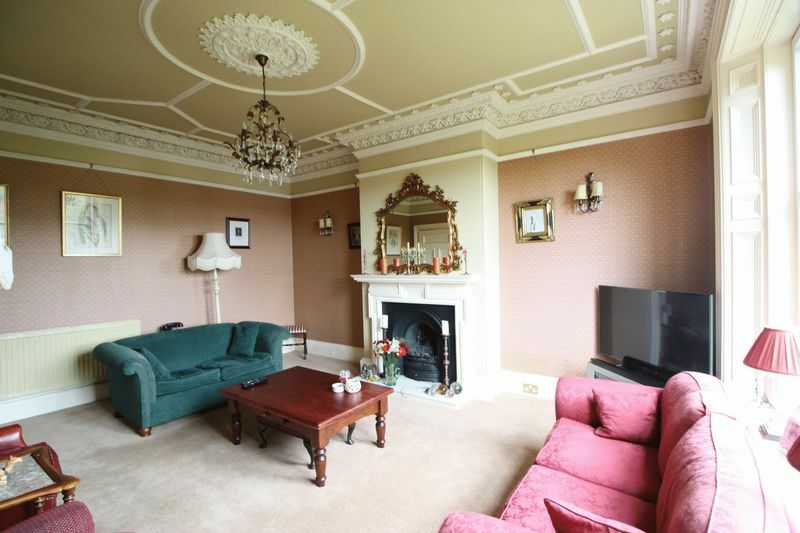 Spacious lounge with carpeted flooring, feature light fitment original ceiling cornice, and large double radiator. Gas fire with marble hearth and wooden fire surround. Walk-in storage cupboard with light and hatch giving access to kitchen. 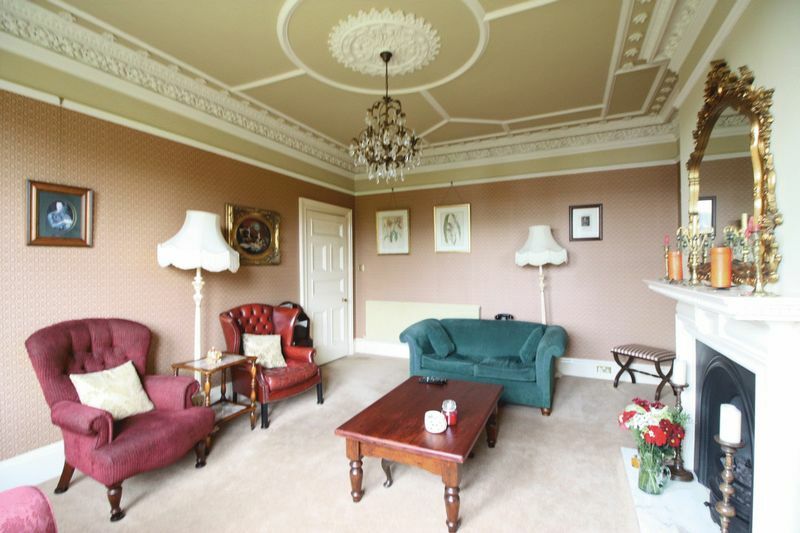 Two large two panel double glazed windows overlooking the rear gardens with excellent views. 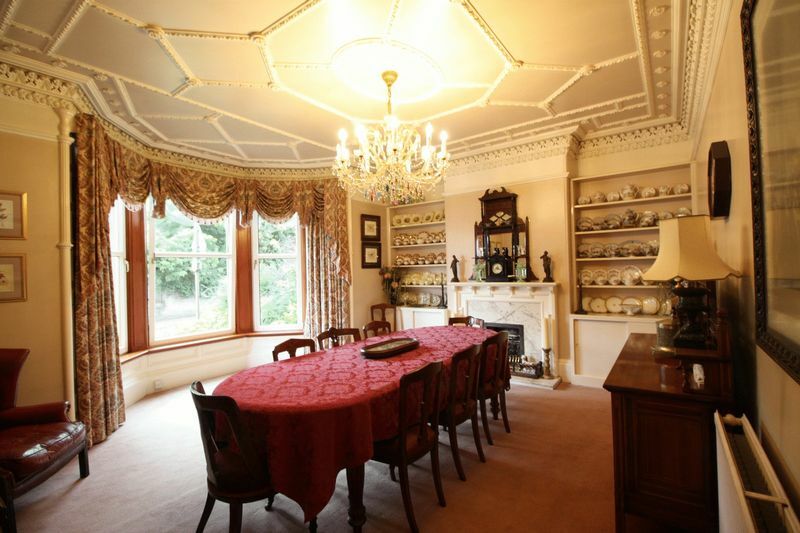 Dining room with carpeted flooring, chandelier light fitment, original cornice and large double radiator. 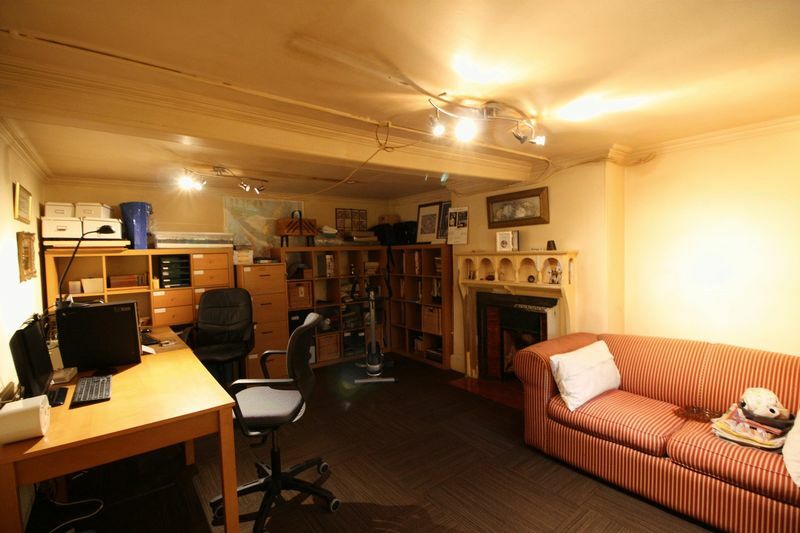 Two alcoves with shelves and small storage cupboards below. 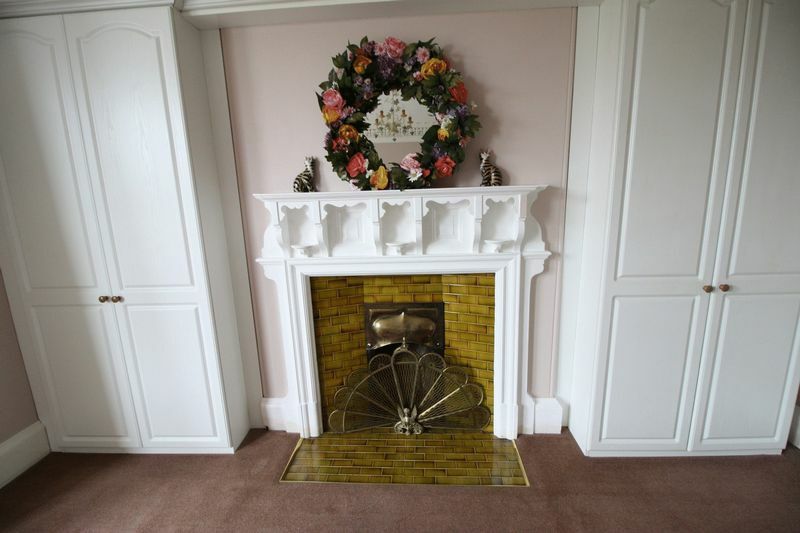 Period fireplace with marble hearth. Double glazed Bay window overlooking the front of the property. Breakfasting kitchen fully fitted with wood wall and base units. Contrasting worktops incorporating a stainless steel sink with drainer and mixer tap. Integrated five ring stainless steel gas hob with built-in extractor hood above. Built-in stainless steel double electric oven. Integrated fridge and space for a dishwasher. Vinyl flooring, two feature spotlight light fitments, large double radiator and breakfast bar. Access to scullery. 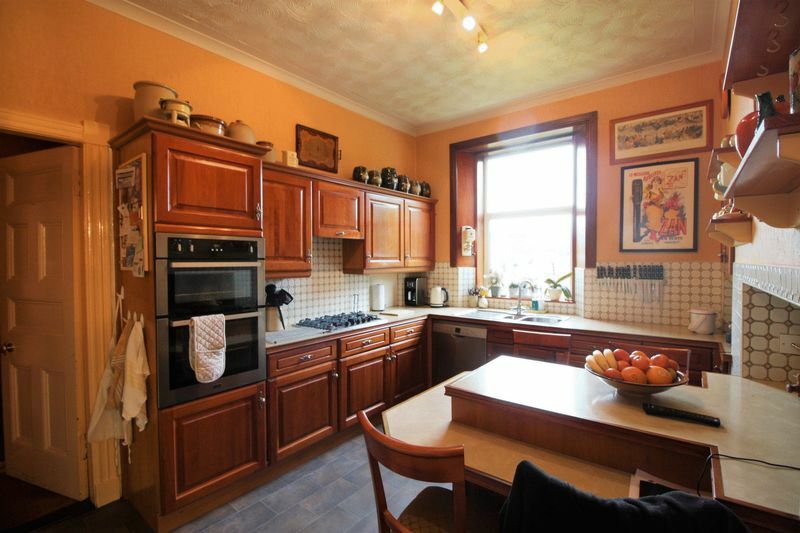 Scullery with Belfast sink, stone painted flooring, three-tier spotlight light fitment and space for a free standing upright fridge freezer. Two large storage cupboards one housing the hot water tank. Access to downstairs w.c. and sun room. 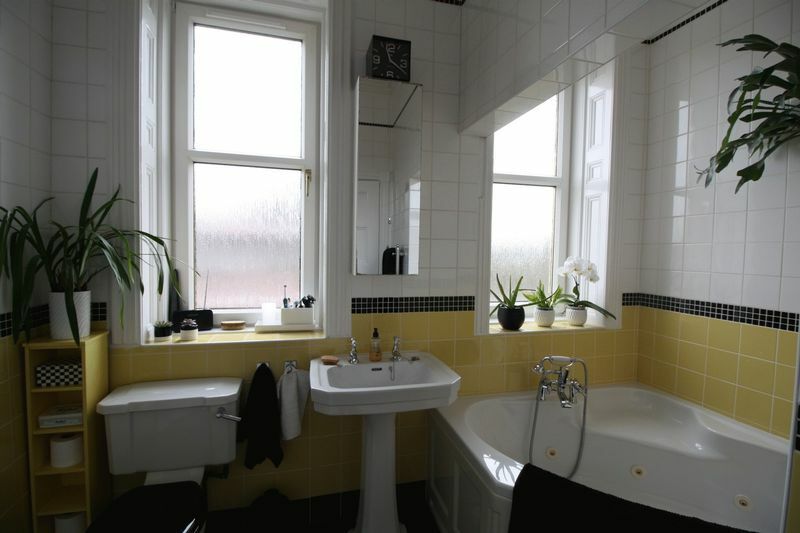 Downstairs w.c. fully tiled comprising of a white w.c., one small single radiator and ceiling light fitment. Black Mosaic tile flooring. Opaque double glazed window overlooking the side of the property. 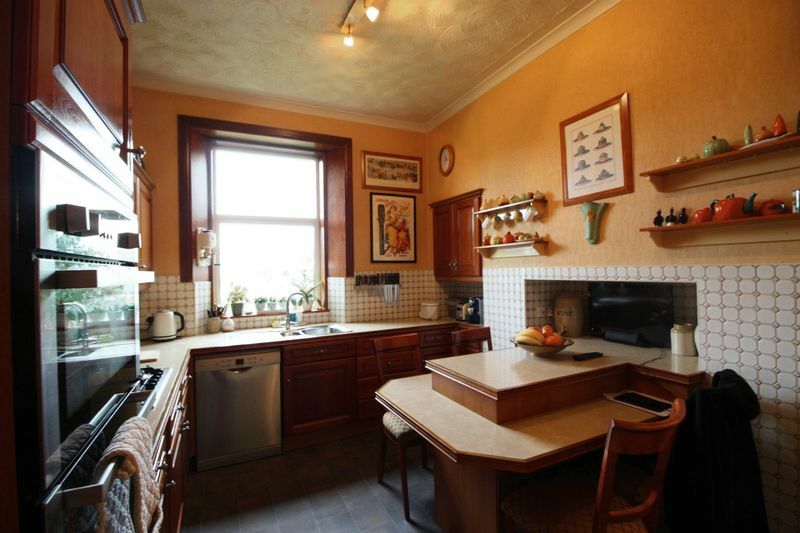 Laundry/Utility room with stainless steel sink, drainer and mixer tap. 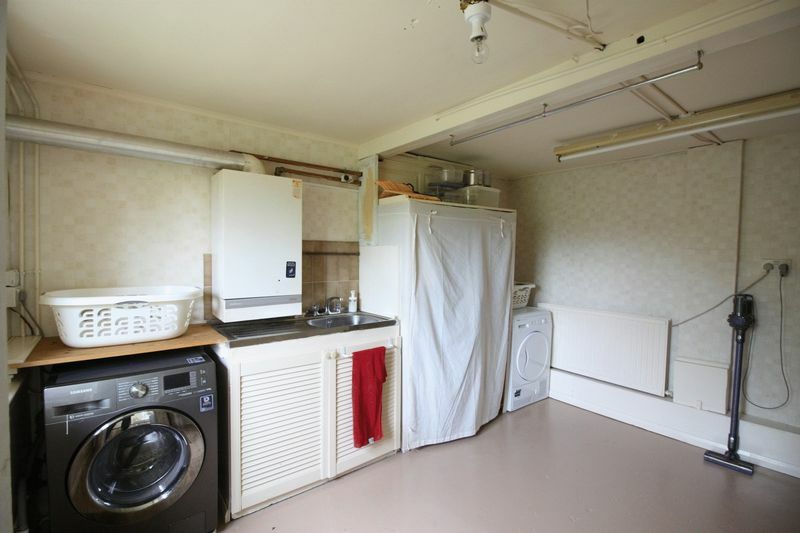 Space and plumbing for an automatic washing machine and tumble dryer. 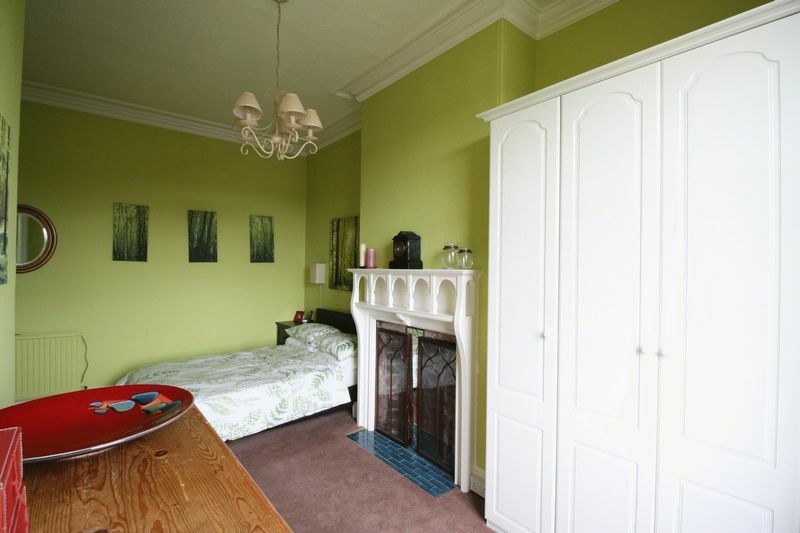 Stone painted flooring, standard light fitment, large single radiator and gas combination boiler. large double glazed window overlooking the rear garden. 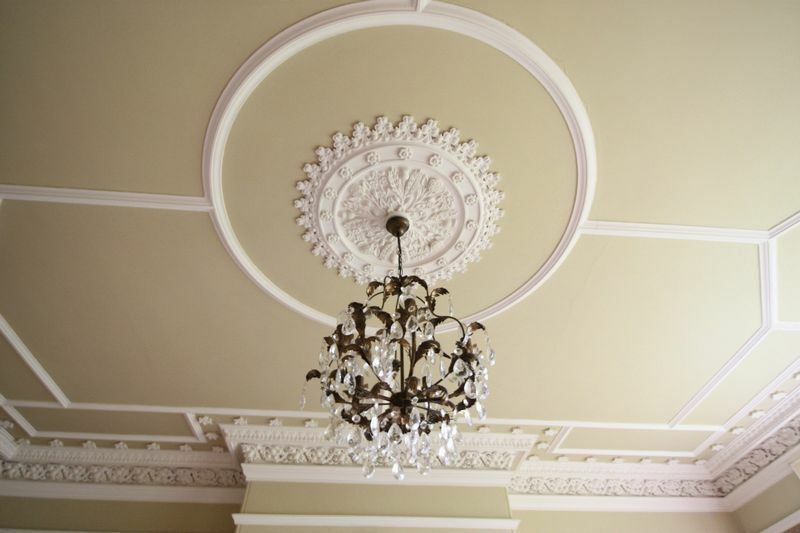 Study with carpeted flooring, two standard light fitments and large single radiator. Feature fire place. Double glazed window overlooking the rear garden. 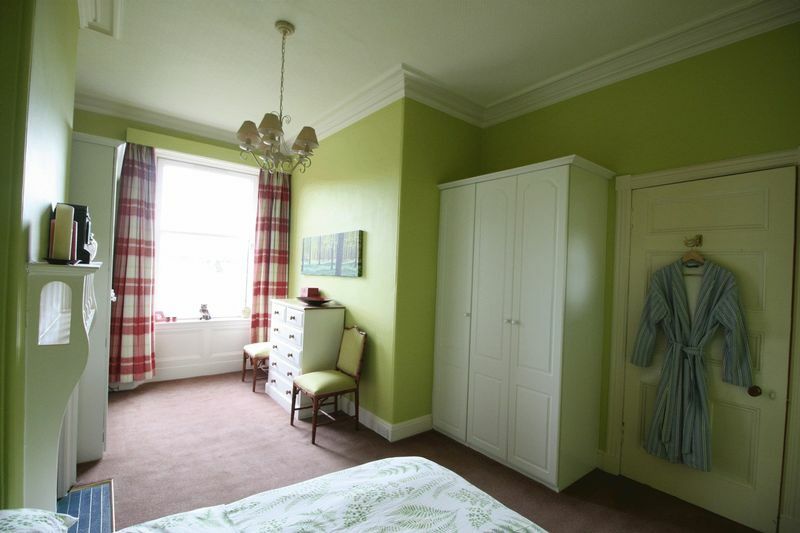 Upper hallway with carpeted flooring, feature light fitment and large single radiator. one large walk-in storage cupboard and one storage cupboard with shelves. Double glazed stain glass window on stair landing. 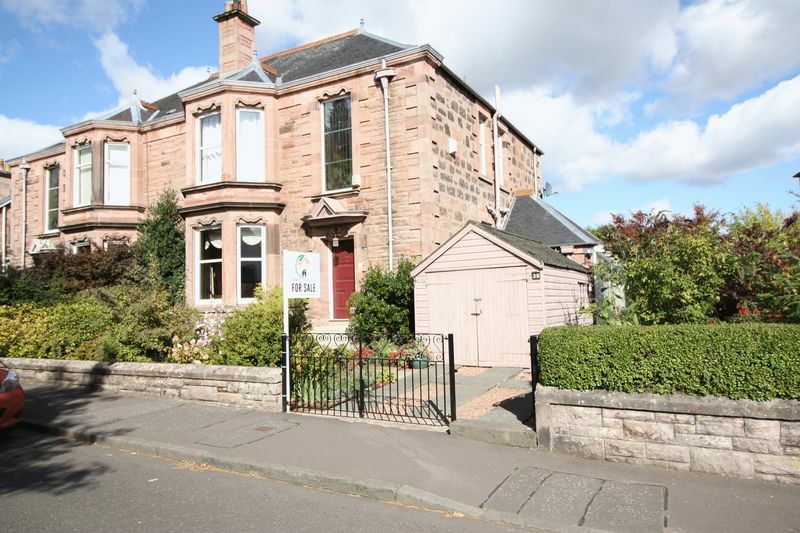 Access to four bedrooms, family bathroom and attic. 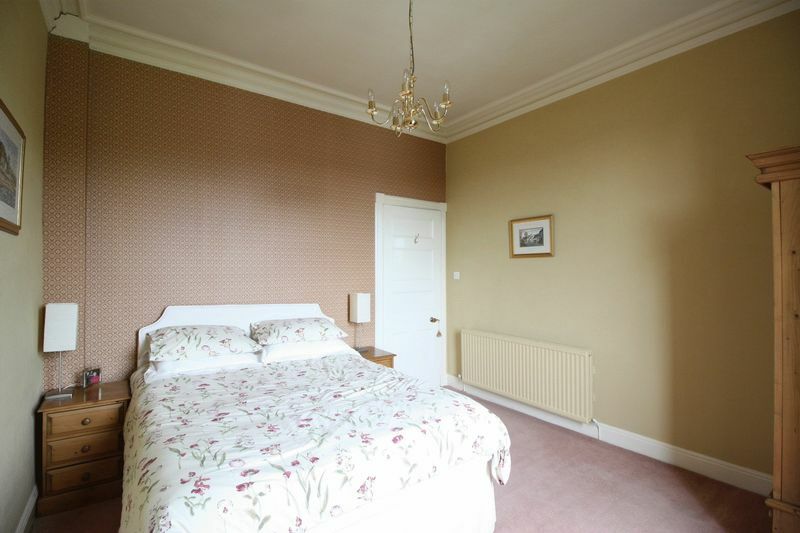 Master bedroom with carpeted flooring, feature light fitment and one large double radiator. 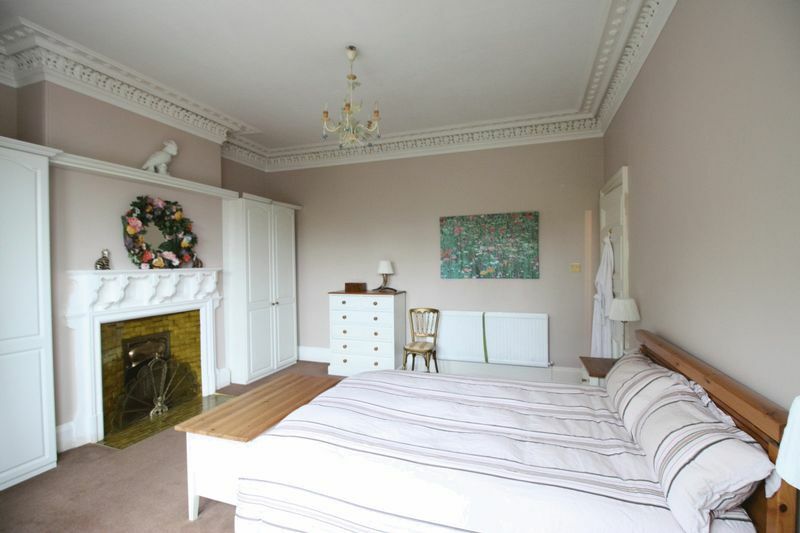 Feature period fire place. 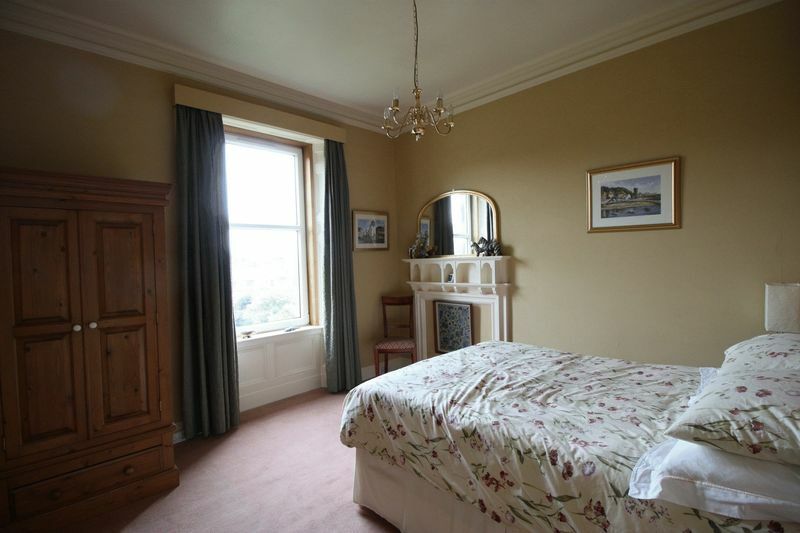 Built-in fitted wardrobes and large double glazed Bay window overlooking the front of the property. 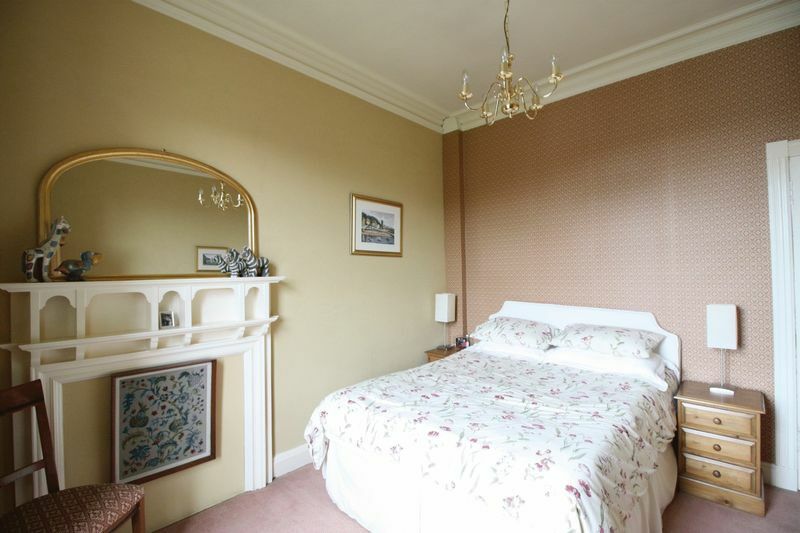 Second double bedroom with carpeted flooring, feature light fitment and large single radiator. Fitted double wardrobe. 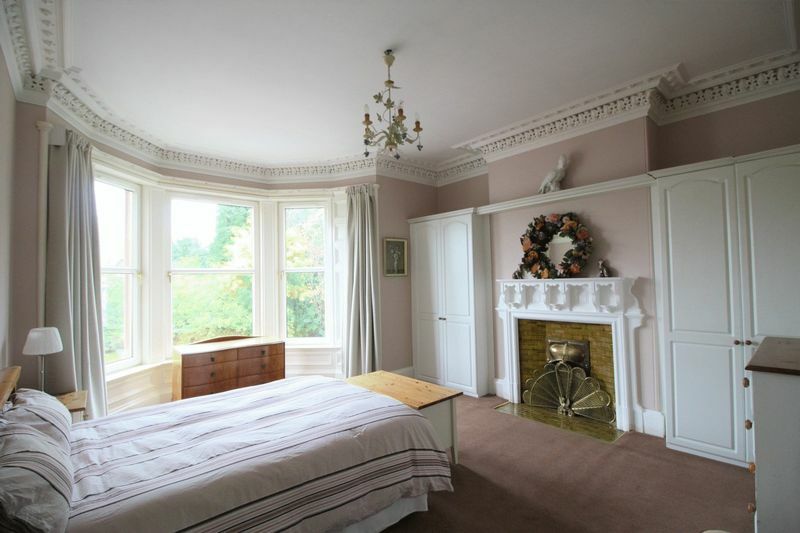 Large two panel double glazed window overlooking the rear gardens. 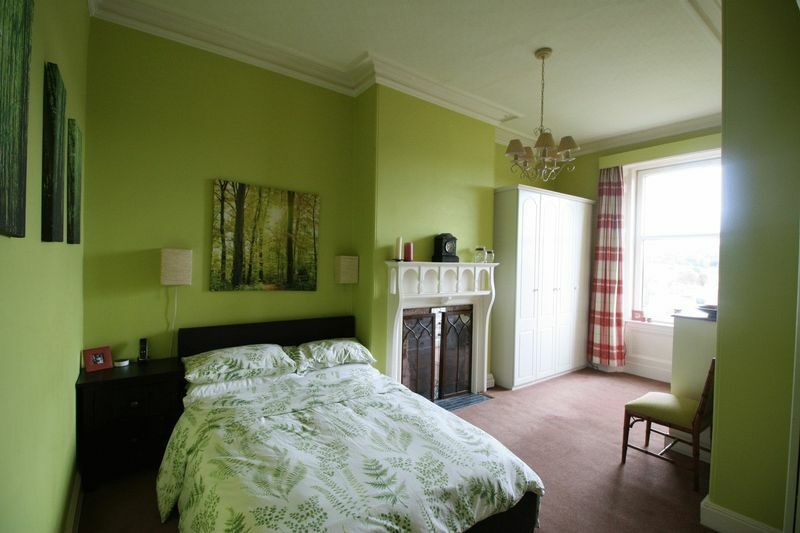 Third double bedroom with carpeted flooring, feature light fitment and large single radiator. 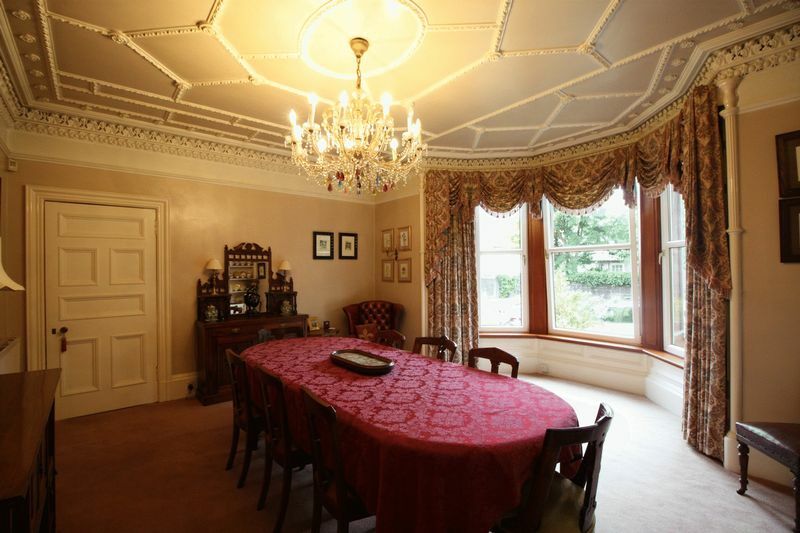 Large two panel double glazed window overlooking the rear of the property. 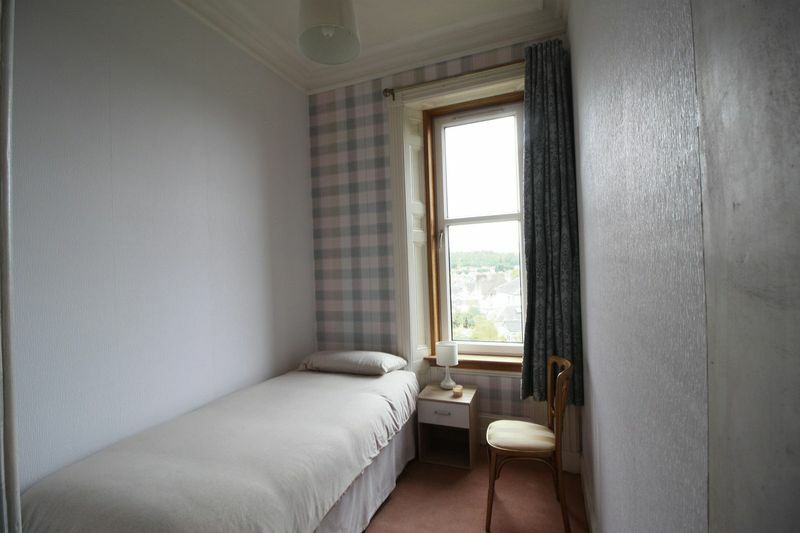 Single bedroom with carpeted flooring, standard light fitment and large single radiator. 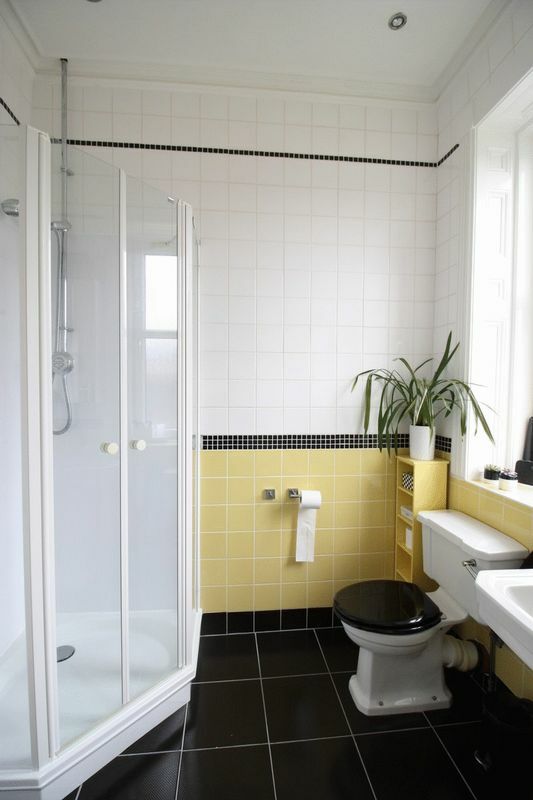 Family bathroom fully tiled comprising of a white w.c., sink, corner Jacuzzi bath and shower cubicle with wall mounted shower off the gas mains. 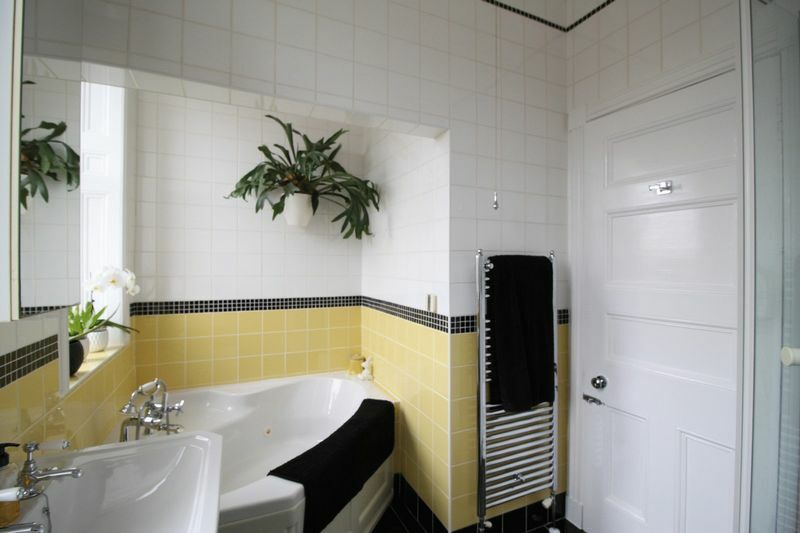 Black tiled flooring, four ceiling spotlights, chrome heated towel rail and wall mounted vanity unit. Two opaque double glazed windows overlooking the side of the property. 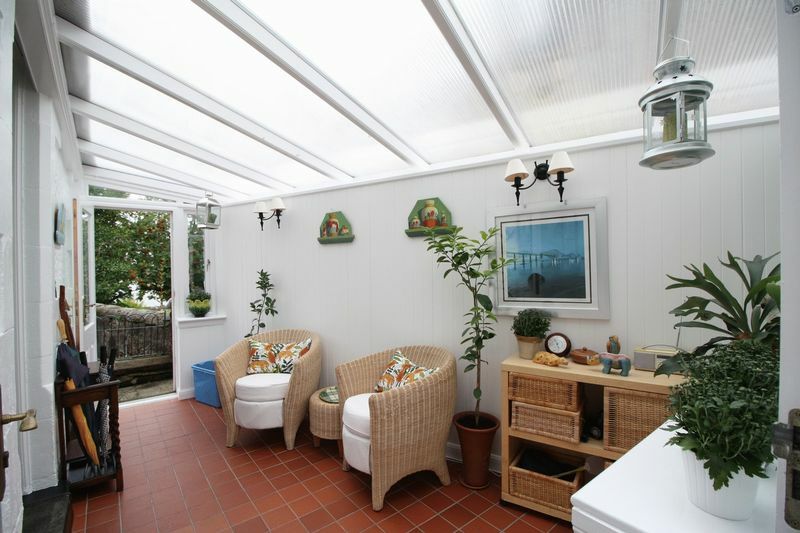 Sun Room with tiled flooring and two wall mounted light fitments. A white UPVC door gives access to the rear garden. 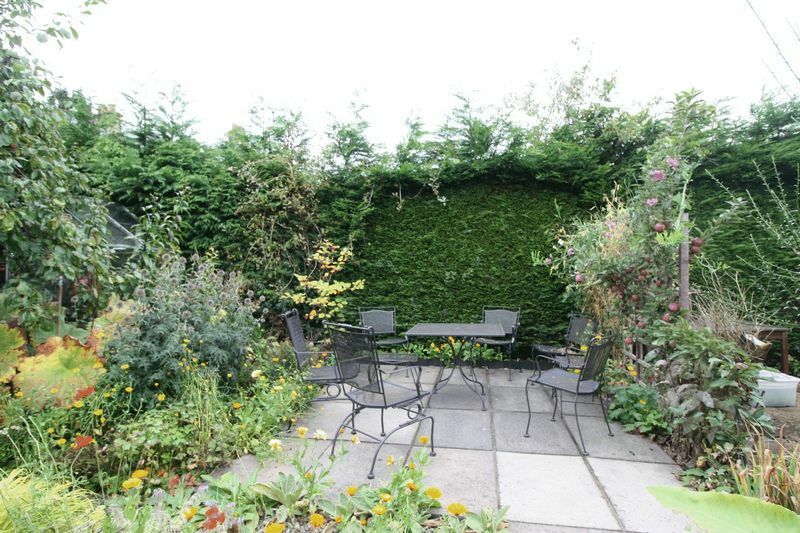 The front garden is enclosed by a hedge with some plants and shrubs. 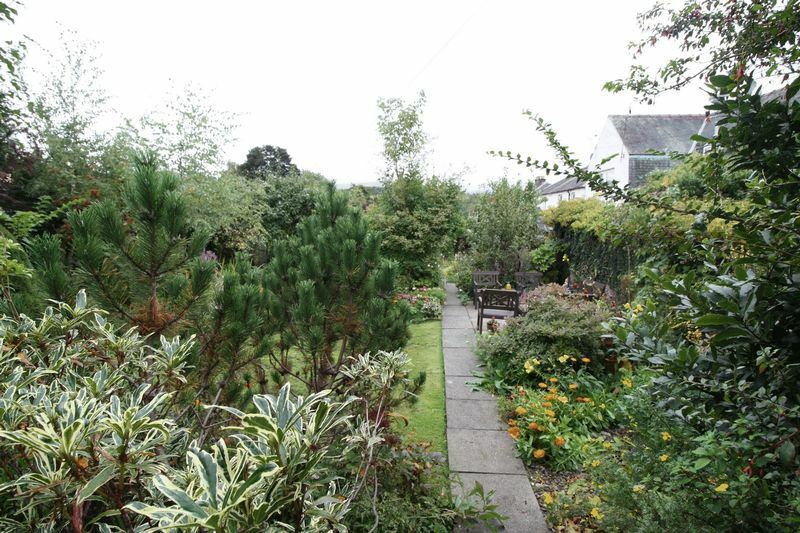 To the rear is a large terraced garden with a variety of mature plants, trees and shrubs. 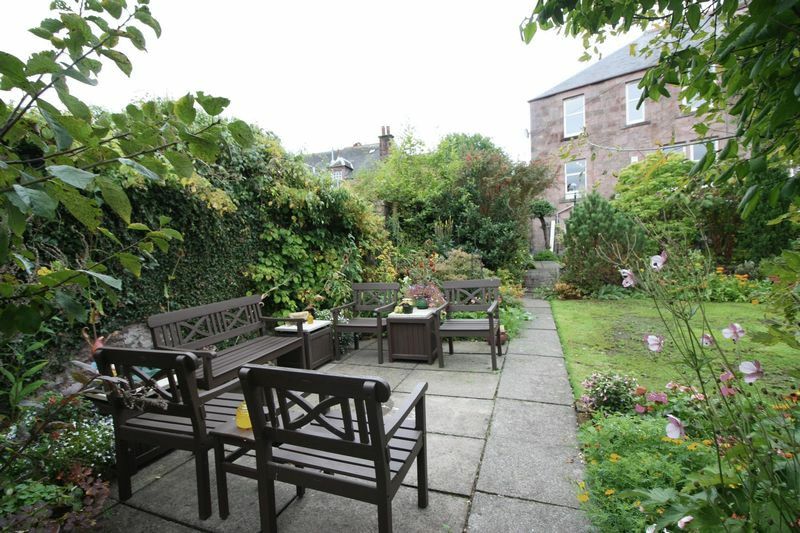 A slabbed patio area to the right hand side of the garden and also a private slabbed patio area on the left side of the garden. 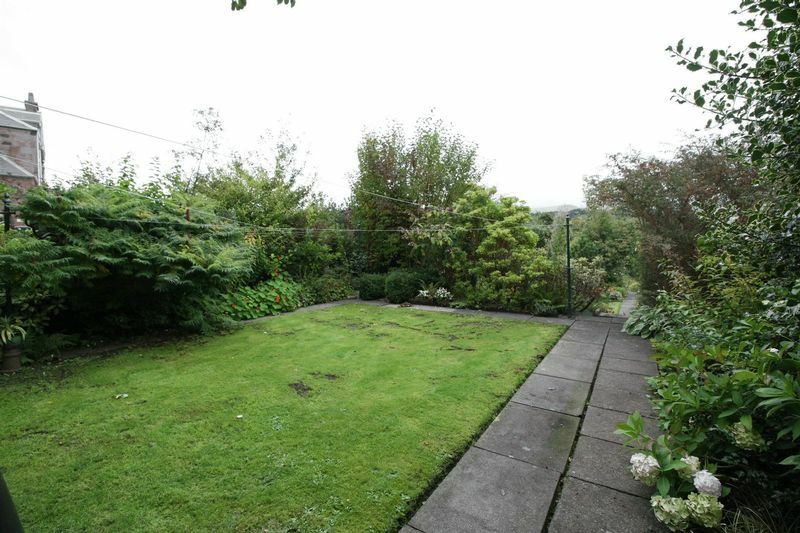 To the bottom of the rear garden is a greenhouse and pergola with established vine. 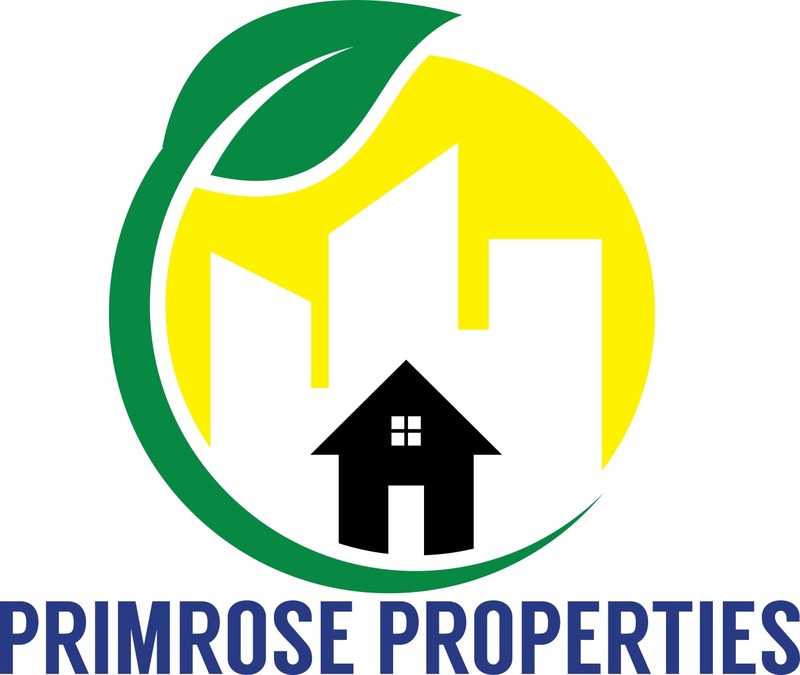 Included in the sale of the property are all floor coverings, carpets, fixtures, fittings, light fitments, integrated kitchen appliances, fire places, curtain poles, blinds and bathroom accessories.